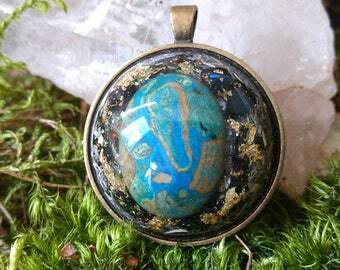 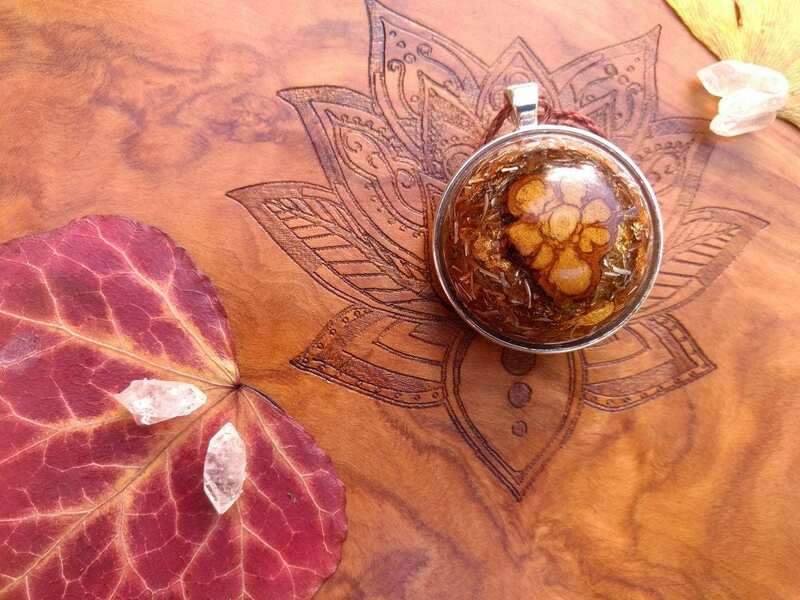 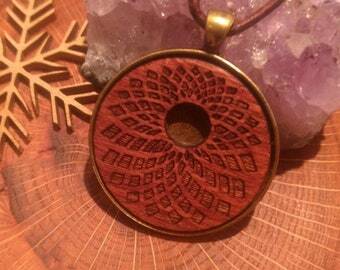 NEW Orgone pendant with Ayahuasca wood, handcrafted with love & care by Raphael & Sarah. 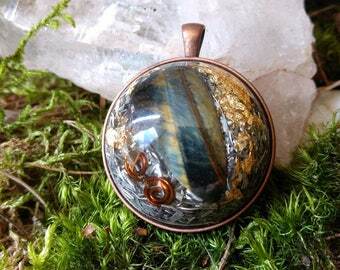 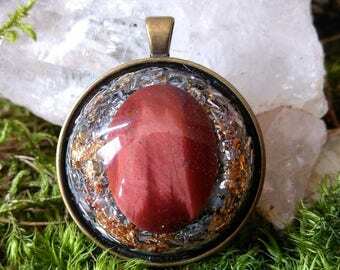 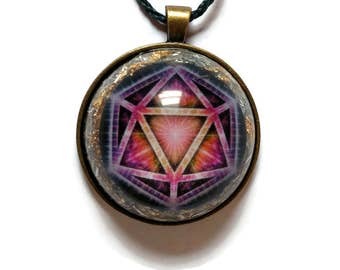 The Orgone pendant has a Ayahuasca wood in the center and contains the following crystals: Quartz as the energetic core, black Tourmaline for protection and Rosequartz for heartfelt blessings. 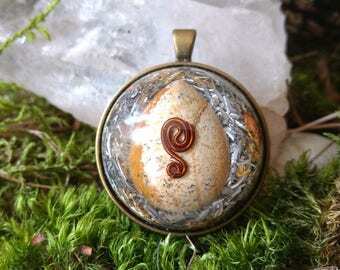 Other Materials used: 24K Gold, metal, copper spiral and resin. 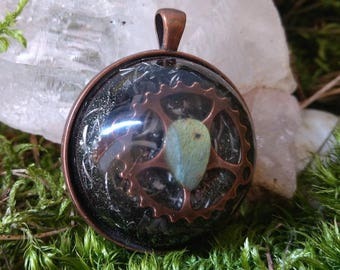 The backside is made of non-allergenic metal alloy.